Connecticut-based DocXellent is a leading provider of electronic document control software and quality software applications with over 30 years of experience. The company designs their products to be configurable allowing customers to organize their electronic document control and quality management functions the way they operate. Sharp Eye Animation produced DocXellent’s cartoon-style “ensur” explainer video that would be added to their website’s homepage and YouTube channel. Being in an incredibly competitive industry like document management software means it’s critical to have solid SEO rankings. 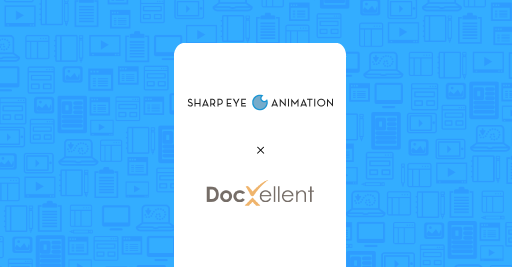 By partnering with Sharp Eye Animation, DocXellent helped continue its momentum in the document management software space by improving website’s organic traffic and overall engagement. To explore what video can do for your business, contact Sharp Eye Animation here.